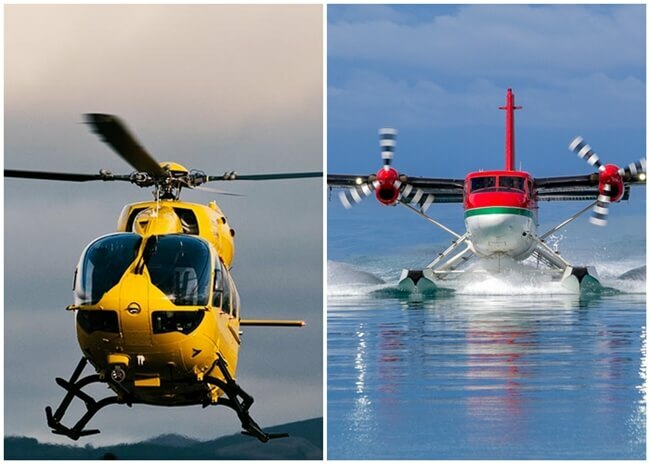 Reportedly, helicopter taxi and seaplane services are in the offing for visitors to Hyderabad and the city residents. Recently, Bengaluru became the first Indian city to launch heli-taxi service as a relief from the dreads of traffic congestion on the way between Kempegowda International Airport and the IT corridor. Why should Hyderabad, the second biggest Silicon Valley of India, lag behind? The proposed heli-taxi service will significantly reduce the burden on the city’s road transport infrastructure. Since 2010, Hyderabad has been adding nearly 2 lakh vehicles to its intra-city road network every year, and thereby increasing traffic congestion. Nearly 30 lakh vehicles, private and public, were plying on the roads across the city by the end of 2017, as per the estimates from the Road Transport Authority. If the vehicle population of the city outskirts and suburbs is taken into consideration, the figure goes up to 45 lakh, which is likely to become 50 lakh in the coming days. The rising population of Hyderabad and the increasing number of vehicles make heli-taxi service a must need for hassle-free intra-city transportation between two business centers of the city, and between the airport and the city center. Usually, it takes more than 60 minutes to reach Rajiv Gandhi International Airport from the city center during peak hours of the day. With the proposed heli-taxi service, Hyderabad City will be able to cut the travel time between the airport and the industrial or IT corridors to a few minutes, just as Bengaluru’s heli-taxi service has made it possible to reach the Electronics City from the airport just in 15 minutes. Hyderabad International Airport operates more than 400 flights on a daily basis and handles over 17 million passengers per annum. It’s not difficult to guess how much traffic the airport pushes into the city daily and how many travelers head towards the airport from across the city in 24 hours. The upcoming heli-taxi service in Hyderabad is likely to relief for airport-bound travelers and inbound travelers from awful traffic congestion during peak hours. Pawan Hans India, a leading helicopter service provider, is currently in talks with the government of Telangana. If things fall into place as expected, a one-way heli-taxi trip will cost INR 2,500 per person. In addition of heli-taxi service in Hyderabad, Pawan Hans India is also looking to transform the Hussain Sagar Lake into a seaplane hub. If the proposal is approved, seaplanes will be custom designed to land in water and on land as well. Hussain Sagar in the heart of the city is being looked upon as a most suitable destination for seaplane service in Hyderabad. Reportedly, seaplane transport will cost lesser than helicopter service in Hyderabad. The commercial feasibility of both the proposals is currently under review. However, seaplane and heli-taxi services in Hyderabad will definitely revolutionize the landscape of intra-city transport.